Burak Ozmucur knows how to combine the light with the heavy. This solo artist has been releasing consistently impressive EPs over the past handful of years, falling somewhere between the grungy grit of Alice in Chains and the progressive scope of Porcupine Tree and TesseracT. I got in touch with the man behind the music to get us up to speed on his work. I’m doing great! Yourself? Thanks for having me. First off, how did you first get into making music? What are your past experiences in making music? Growing up, I always just enjoyed listening to music and was constantly surrounded by it. I took piano lessons for a few years. Afterwards, I was getting into a lot of rock so I started learning the guitar and wanted to start writing songs. I surrounded myself with friends that also played instruments, and that was a great time. Once I saw that some of my favorite new artists were writing and recording music from their home, I did research, and wanted to get the proper gear to also put some of my ideas out there as well. Your EPK says your music falls somewhere between Porcupine Tree and Alice in Chains, but comparisons can only go so far. How would you best describe your music on its own terms? I think the music is very melody driven. It touches on a lot of rock and metal influences, but there is a mellow, ambient, and a softer side to it as well. So there is definitely a combination of those elements. You exist as a solo project; are there any particular advantages and disadvantages to doing it all yourself? I think when you do it all yourself, you can take your time, and you don’t really need anyone else’s approval on any of the parts that you write. You do everything on your own schedule. At the same time, the disadvantage is that it can become a little overwhelming at times. When you’re in a band, you really focus on perfecting your particular instrument or part. For example, if a part of a song isn’t really reaching its full potential, you have others that can tell you that. You have other band members, a producer, an engineer, a mixer, and a lot of people to bounce ideas off of. When it’s just you, you have to do everything so the process can take longer. 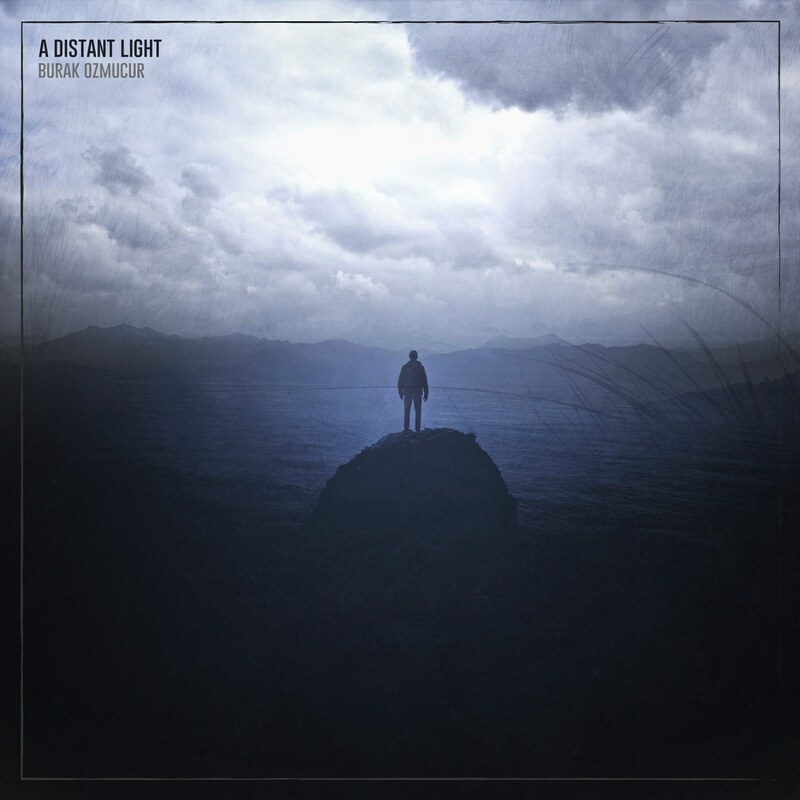 Your new EP A Distant Light is a really solid effort. What can you say about it to prospective fans? Thanks so much. I’m really glad to hear that you enjoyed the EP. I think A Distant Light is very song focused but with influences from progressive rock, ambient music, rock, metal. The idea was to try to write good songs, incorporate all of those elements, and write an EP that can easily be listened from beginning to end in one sitting. At times it’s darker and heavier but there are very mellow parts as well. So I think there could potentially be something in there for everyone. Did your process for this EP differ from your last EP, In Silence? This EP took over two years to write and record. The process was a lot slower. I mainly wrote and recorded as many songs as possible, and then at the end, I picked the 4 songs that I thought were the strongest. I kept going back and changed a lot of things, re-recorded some of the parts, changed the song structures. So it took a lot longer and I procrastinated a lot. In Silence was written and recorded in a couple of months. Hopefully in the future it will be a lot quicker! Is there a story behind the artwork for A Distant Light? What impression were you trying to get across? The artwork was designed by Shjon Thomas – Graphic Design. The couple things that we wanted to do was to have a balance between dark and light. We wanted to have a light in the distance that sort of resembled hope. It can be interpreted to anything. So we came up with a visual of a person that’s alone and is looking towards the light. We wanted to keep it ambiguous and open. I think the whole theme fits the mood of the music as well so it worked out great! The musical ideas usually come up when I’m just playing the guitar at home. If I think I came up with something interesting, I’ll quickly record it on my phone to get the idea down. It can be a guitar riff, a chord, a melody, and anything that kind of grabs my attention for a potential song. Sometimes, a musical idea can come up when I am not near a guitar. If that happens, I’ll quickly sing the idea to the voice recorder on my phone, and then come back to it when I am back at home. Once I feel that I have enough ideas, I’ll start piecing it all together to a full song. I try my best to make sure that all the ideas flow well. I tend to write the music first before the lyrics, but I make sure to write the music with the vocal parts in mind. When I feel that I’m done with the writing of the song, I’ll start recording the guitars, the bass, program the drums and record the vocals. Afterwards, I’ll mix it and use a couple different headphones to try to keep it as consistent as possible. I believe that’s pretty much it. What do you think of the reception the music has received thus far? The response has been very welcoming. I really appreciate people taking their time to listen to the music. What’s your ultimate goal for this project, all things considered? The main goal is to show my appreciation for song writing and recording. I try to keep it as a hobby and to something that I just enjoy doing, but it’s definitely something that I take very seriously as well. Are there plans to play live and tour this music around? It would be awesome to play these tunes live someday. However, as of now, this is just a studio project. What advice would you give to other musicians, particularly solo artists who may be facing some of the same challenges you are? I would say to do research, watch YouTube videos, and surround yourself with others that are also doing the same thing. I think it’s very important to stay patient as well, because it might take a while to find the sound that you’re looking for. That is something that I still always say to myself as well. There has been a lot of great music that was released this year. Lately, I’ve been listening to Meshuggah and Alter Bridge’s new albums. I’ve been listening to a post-rock band named Pray for Sound who just released a new album as well. Those albums all just came out recently so I’ve been listening to them since. What lies in the future for your music? There is nothing specific right now, but I hope to release more music in the future whether it’s an EP or an album. Whenever I have free time, I try my best to come up with musical ideas. Just a huge thanks to anyone who has taken the time to listen to the tunes and for the support. Thank you guys for speaking with me and I hope we get to do this again soon.